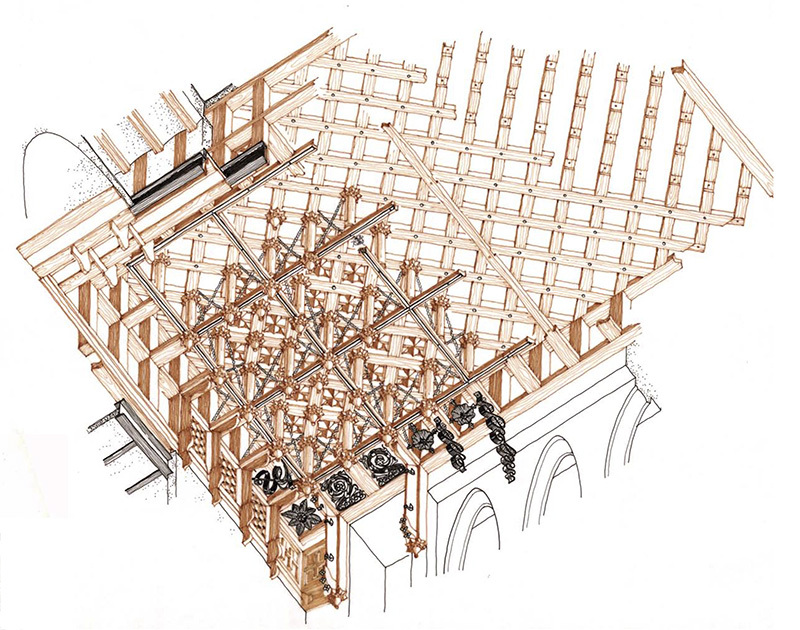 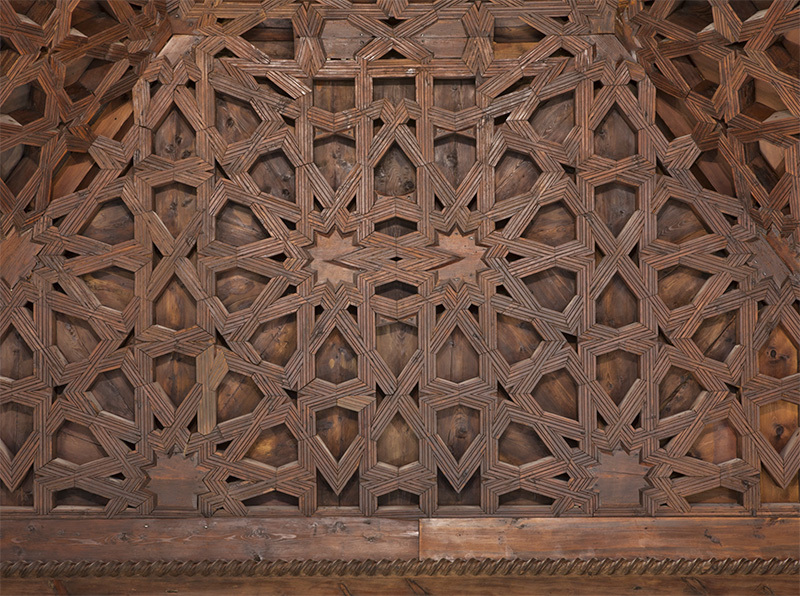 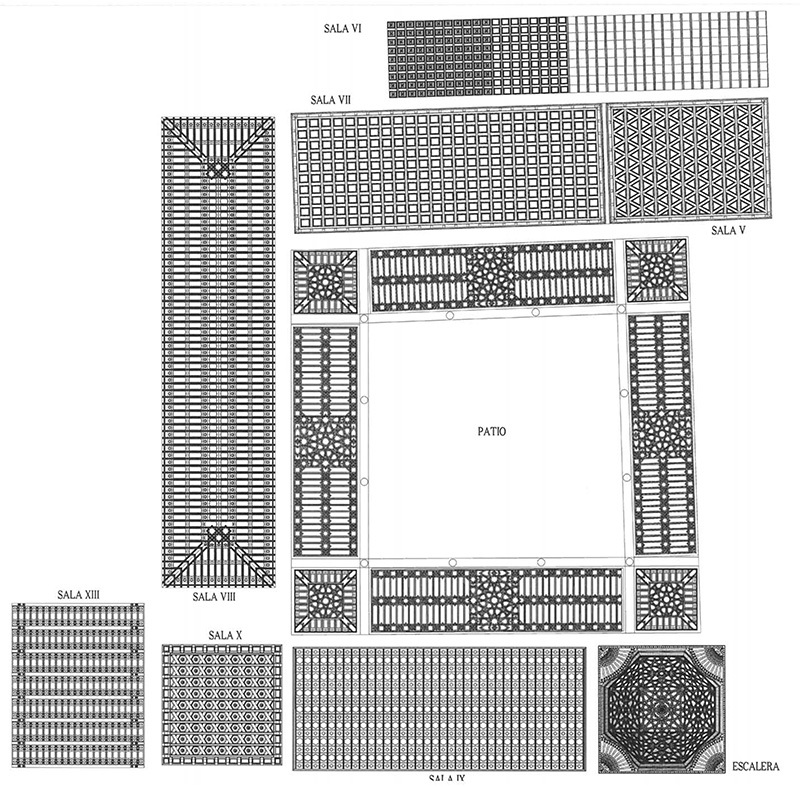 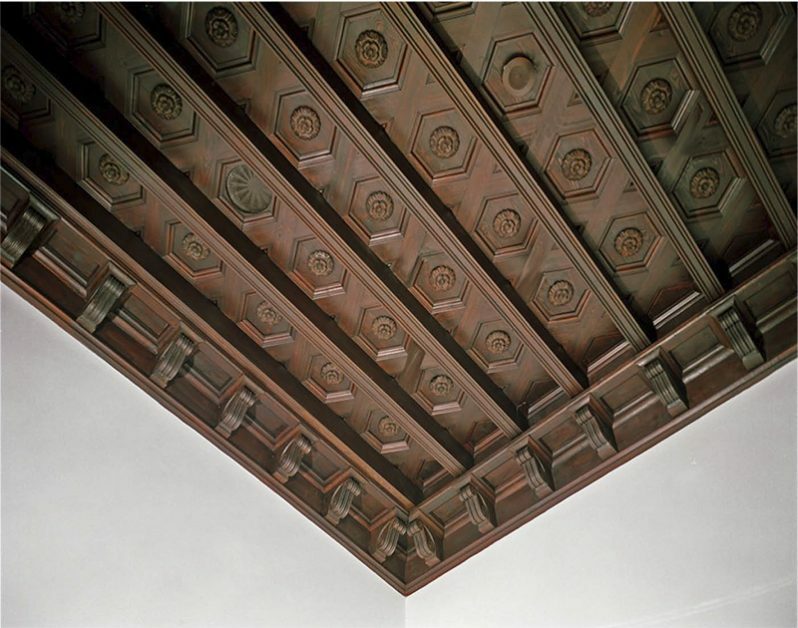 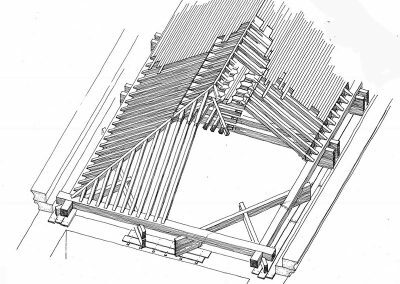 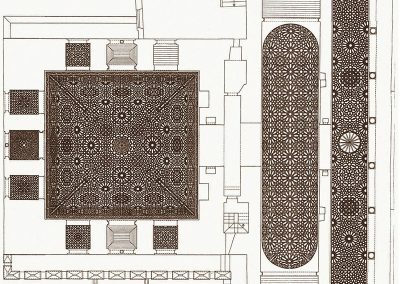 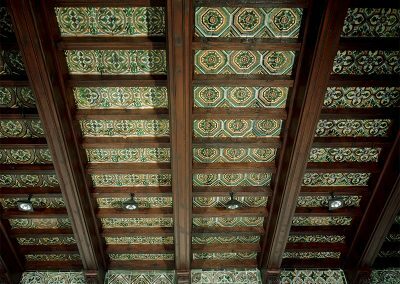 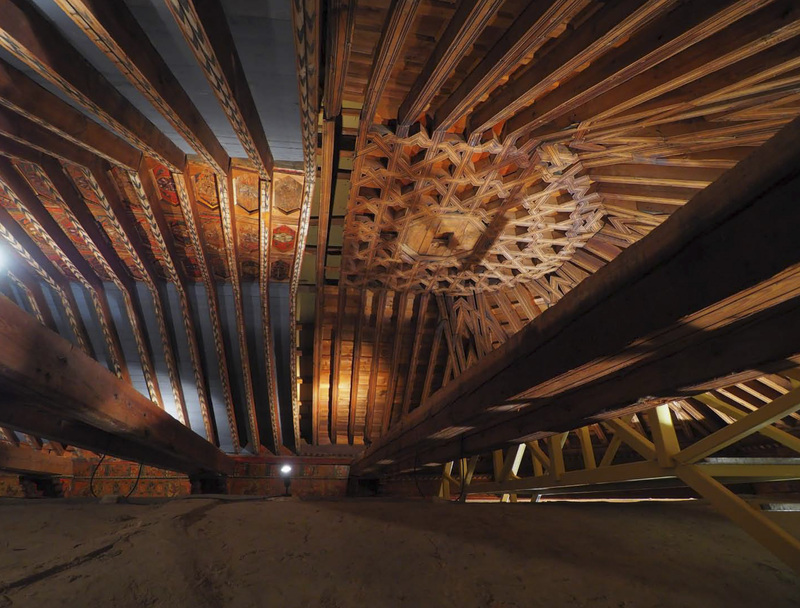 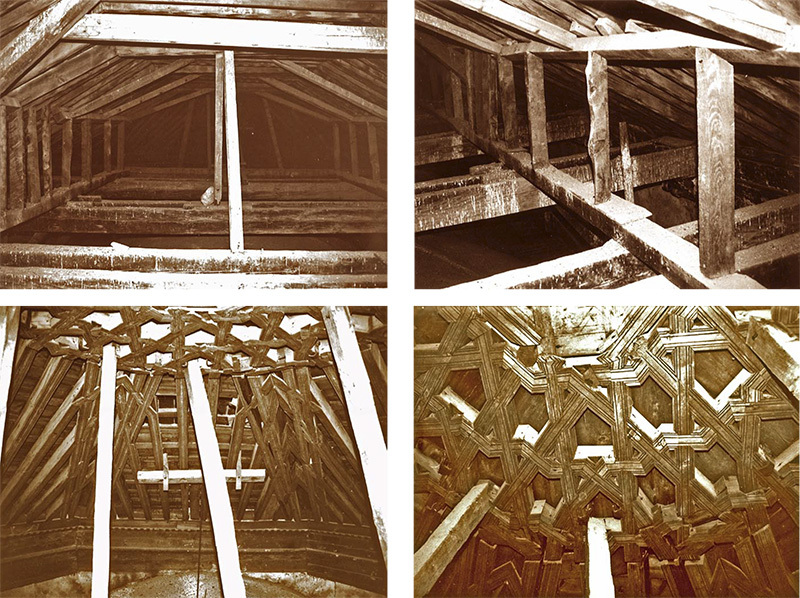 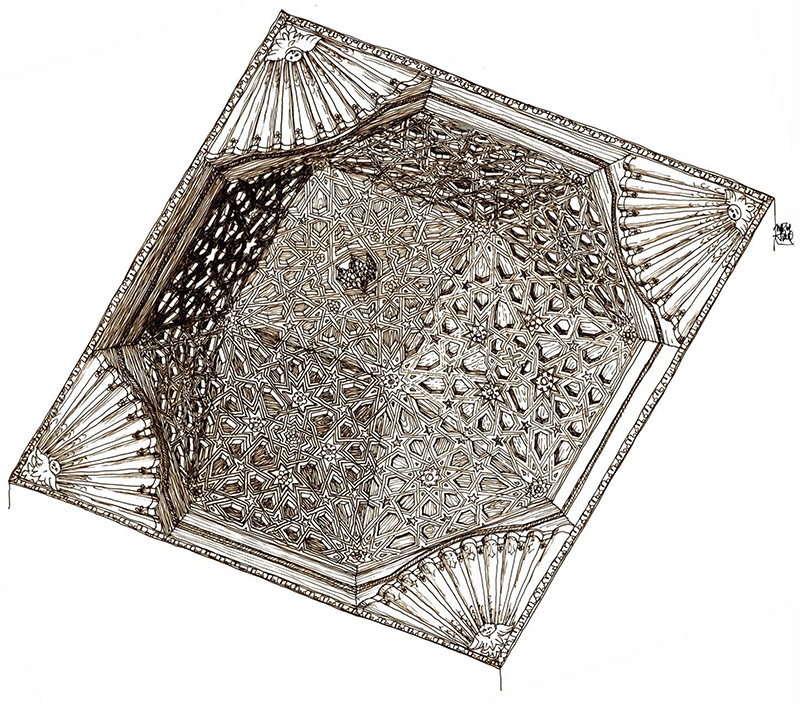 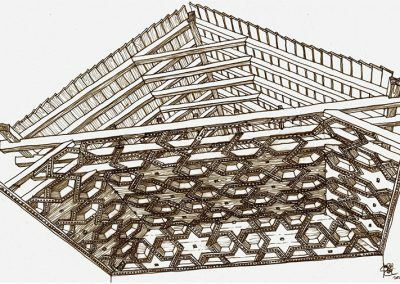 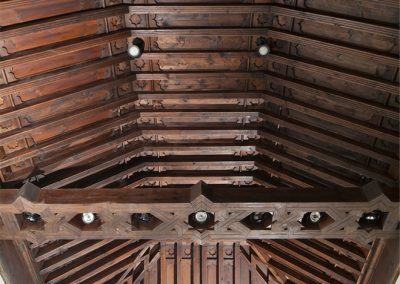 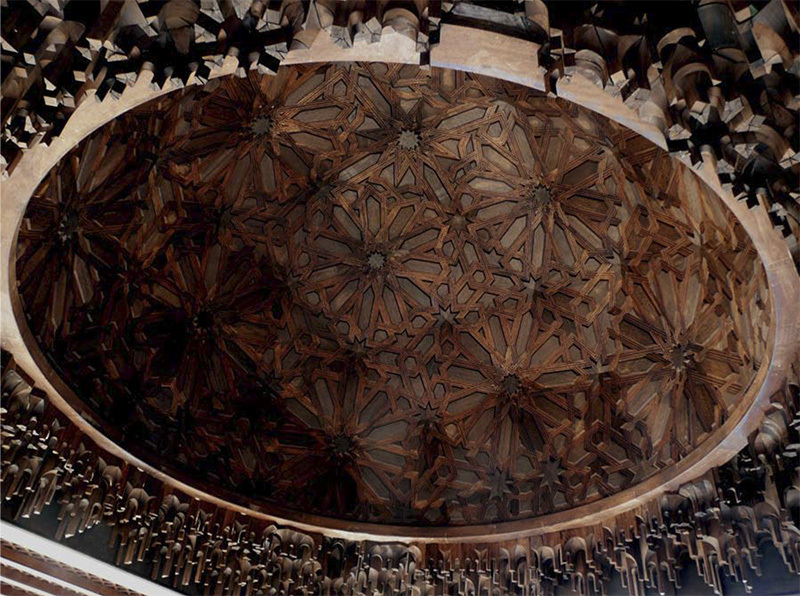 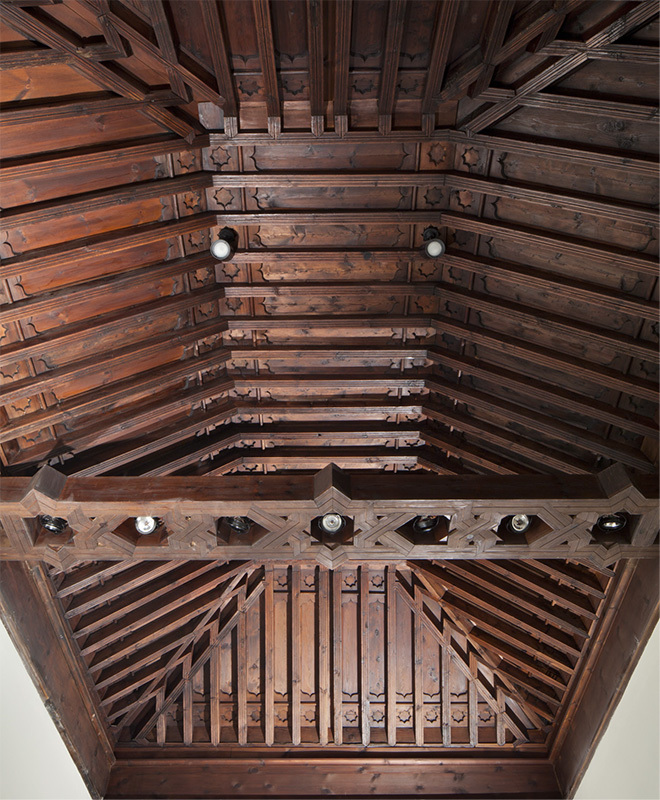 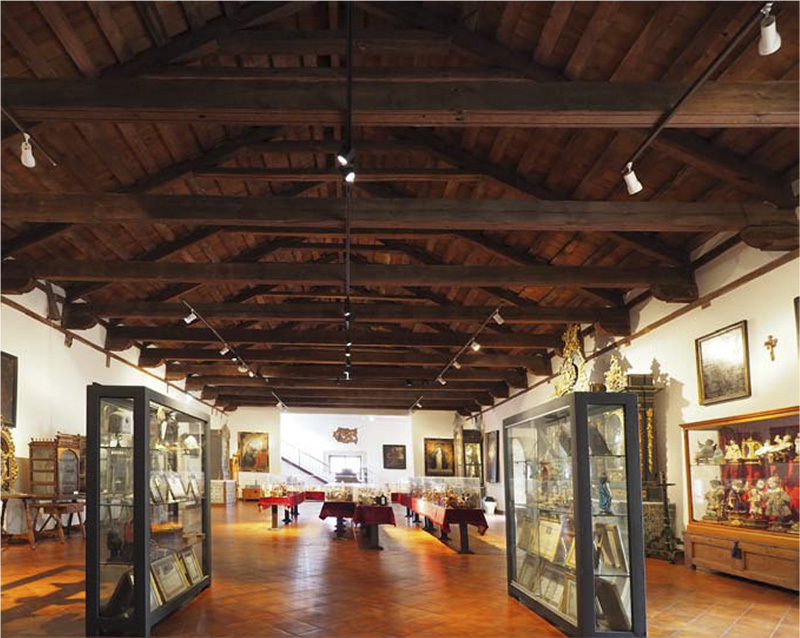 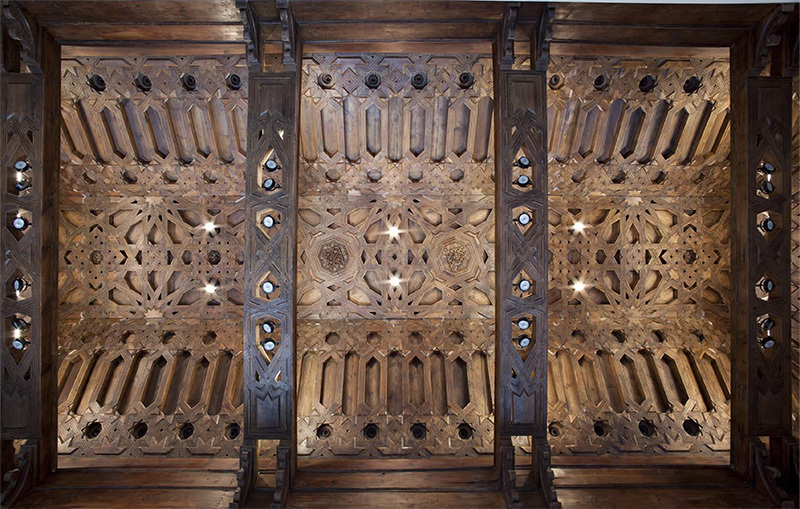 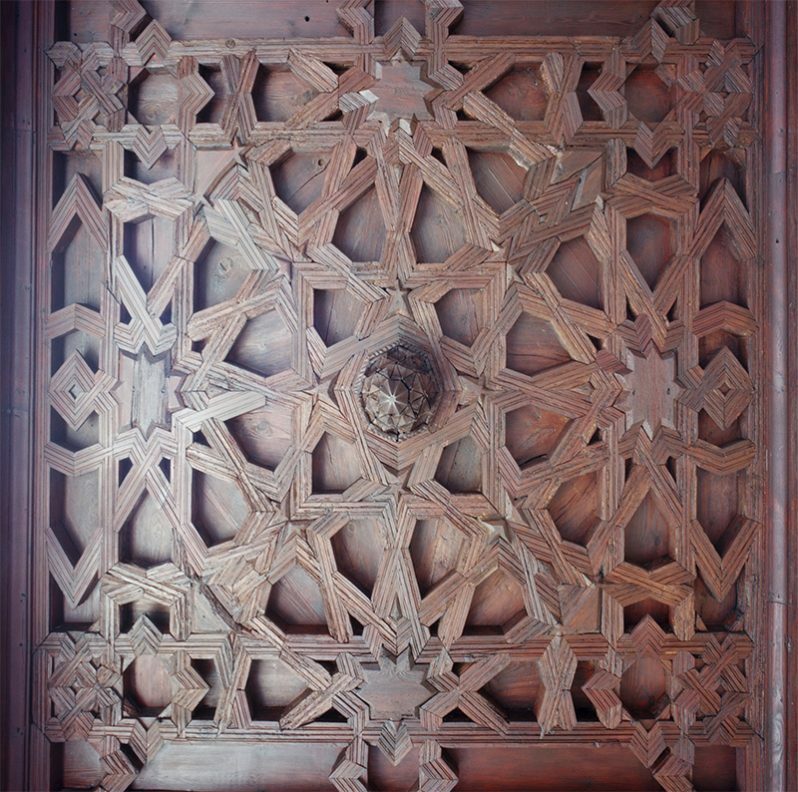 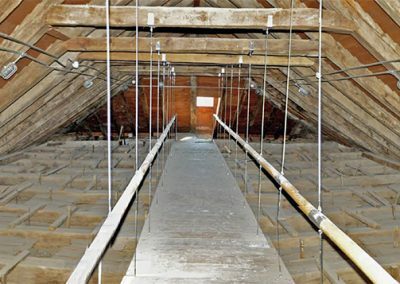 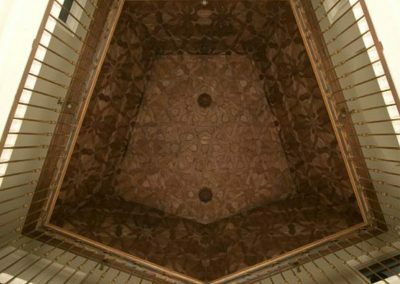 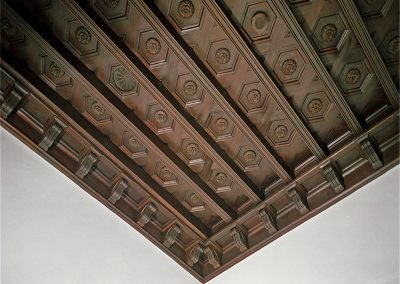 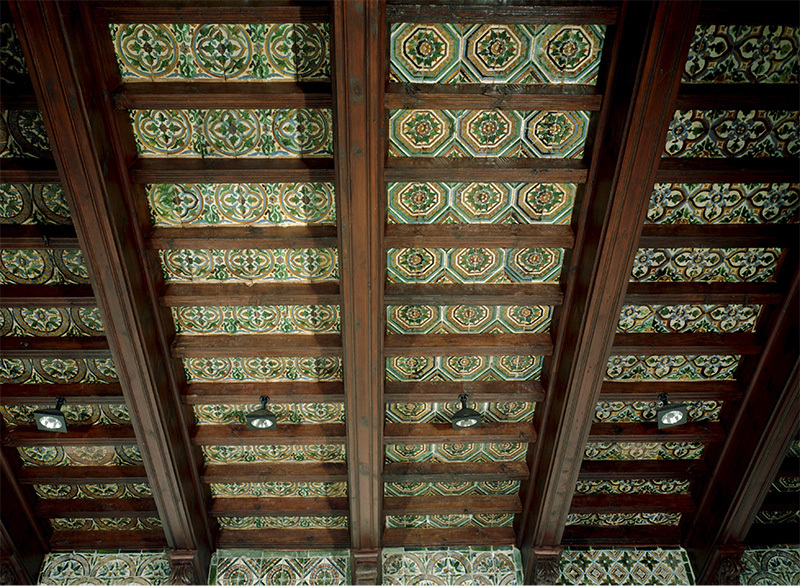 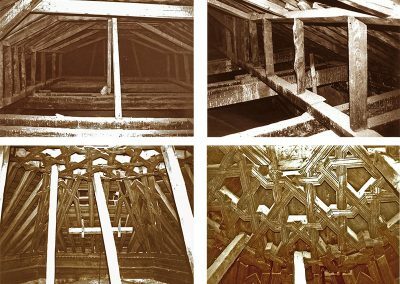 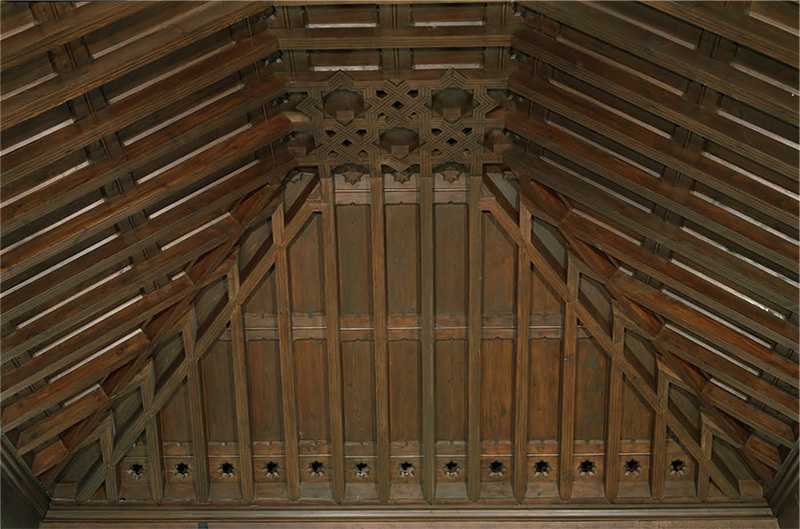 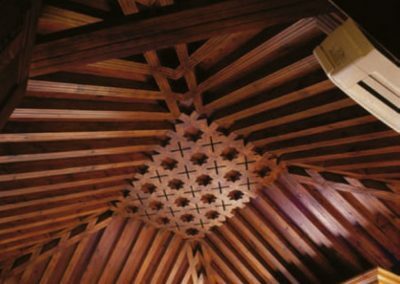 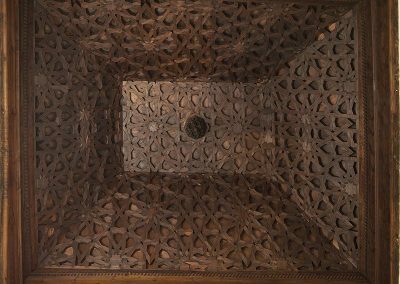 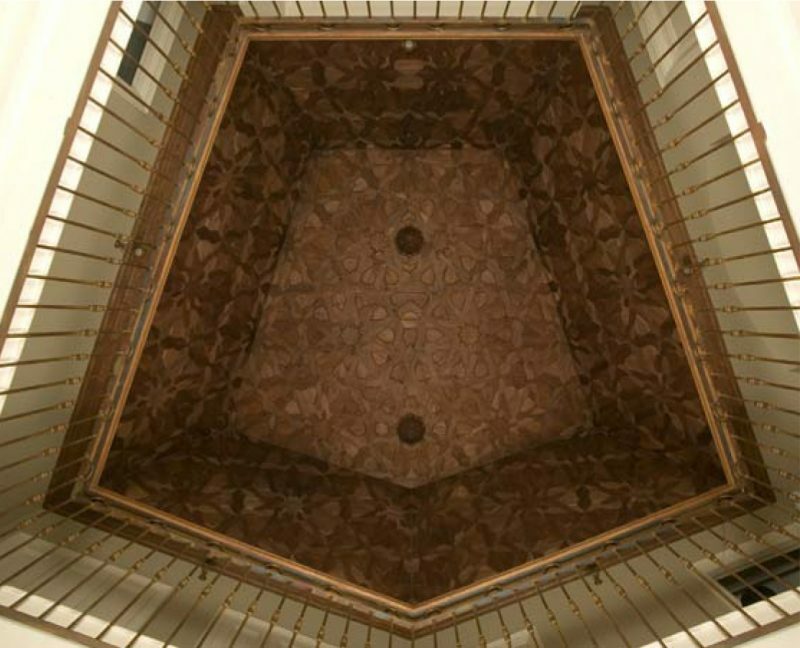 In 2016, the fifth Rafael Manzano Prize has been awarded to Enrique Nuere, who has not only stood out for his magnificent work restoring traditional roofs and ceilings and designing new ones, but also for having made possible, thanks to his research, to recover the body of knowledge of a craft whose details, encoded before being forgotten, no one could figure out. 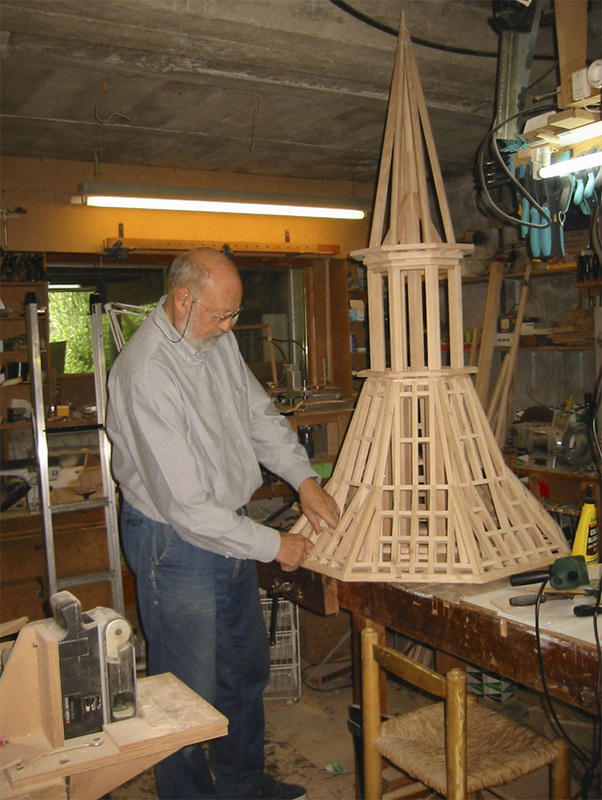 He has also revitalized this craft through teaching, research and his very practice. Thanks to him, today there are numerous experts and craftsmen who deal with this traditional art following the principles he rediscovered and actively disseminated. 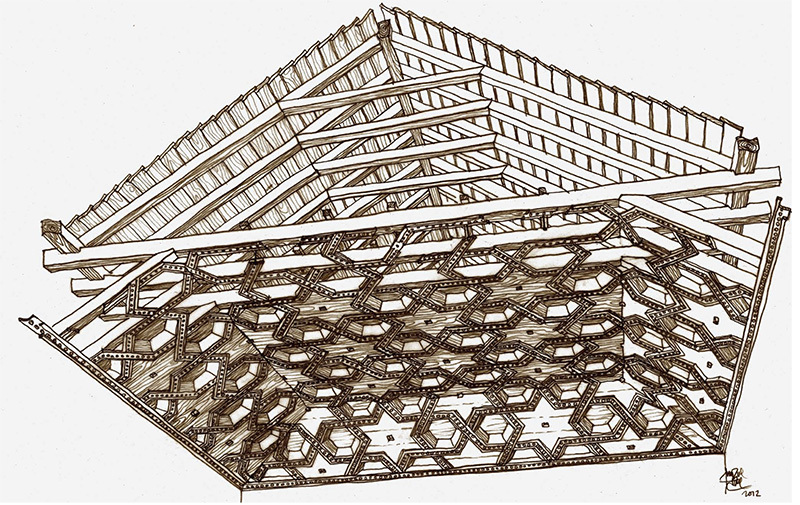 Enrique Nuere Matauco was born in Valencia in 1938. 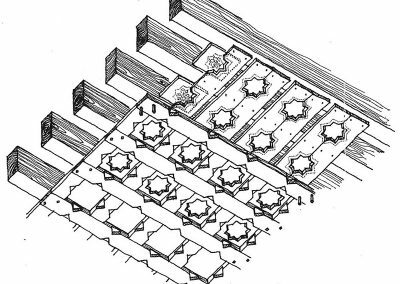 He graduated in Architecture from the School of Architecture of the Universidad Politécnica de Madrid in 1962 and holds a doctorate in Architecture from the same School since 1967. 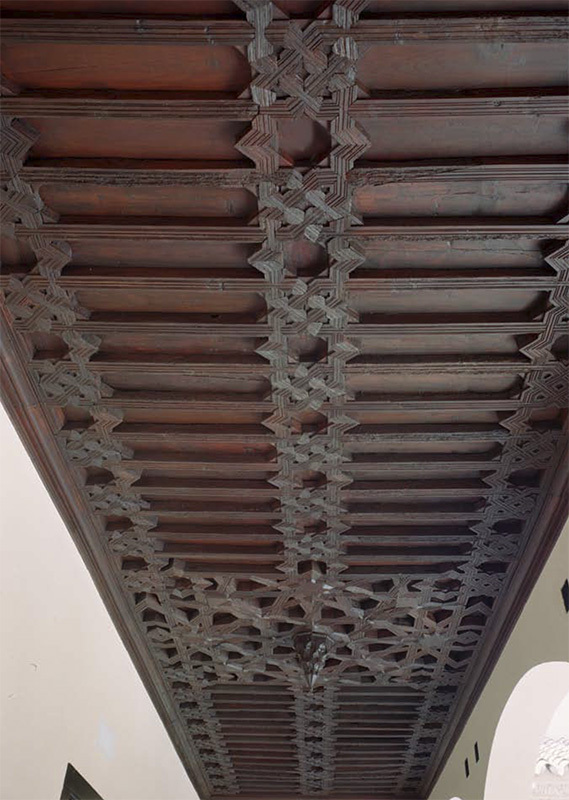 He is a member of the Real Academia de Bellas Artes de San Fernando (Madrid), of the Academia de San Telmo (Málaga), of the Real Academia de San Miguel Arcángel (Santa Cruz de Tenerife) and of the Academia del Partal, an independent association of practitioners of monuments restoration. 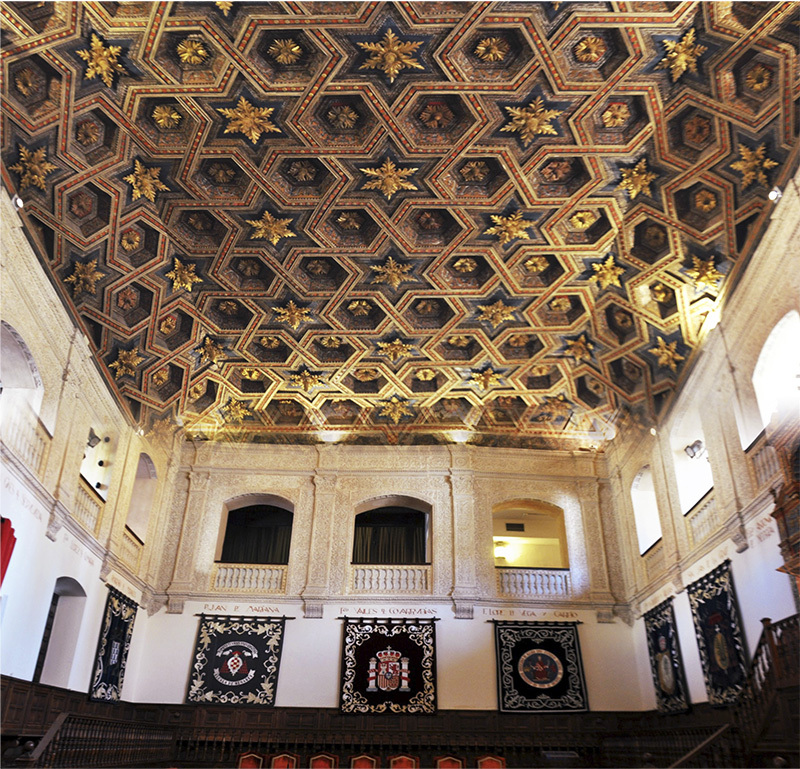 He has been a member of the board of trustees of the Alhambra and the Generalife (1986-1995). 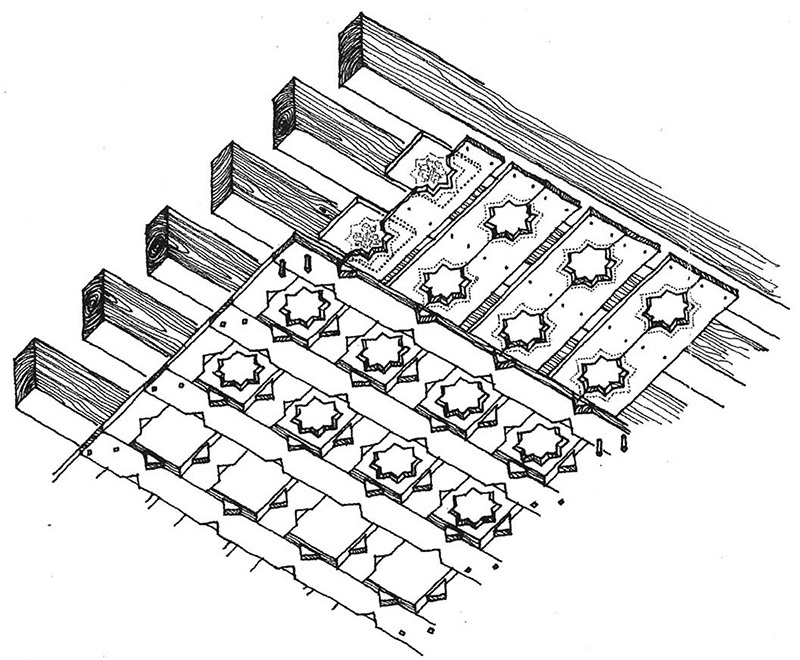 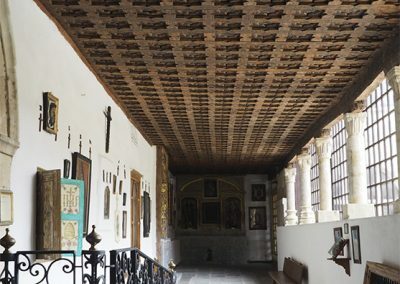 Apart from his regular practice of architecture, he started his activity in architectural heritage restoration in 1980, after his research on the “La carpintería de lo blanco” manuscript, by Diego López de Arenas. 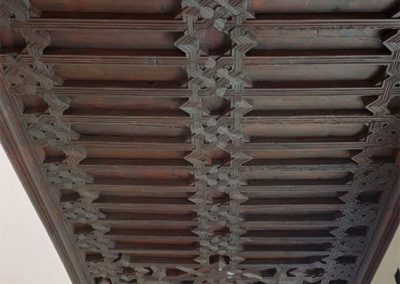 Since that decade he focuses his activity both in restoration and in teaching, becoming a specialist in historic carpentry. 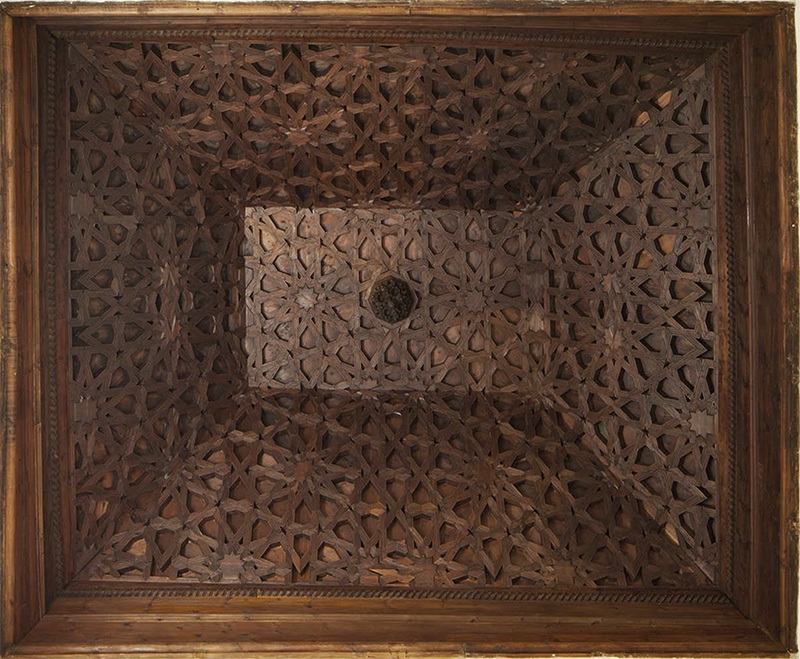 His works and research allowed him to recover the knowledge on this field, lost since the 18th century. 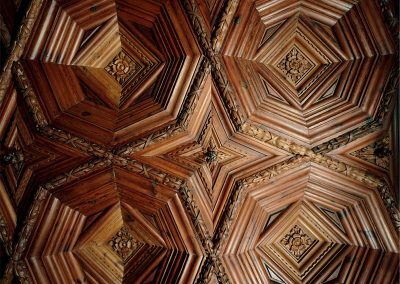 In order to spread his findings and to avoid this knowledge to be once more forgotten, he has very actively worked in teaching this craft, training a new generation of “carpinteros de lo blanco”, and has written a number of books and articles unveiling its previously hidden principles. 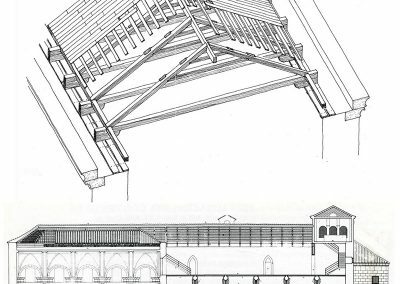 Among his published works, we can highlight: La carpintería de lo blanco. 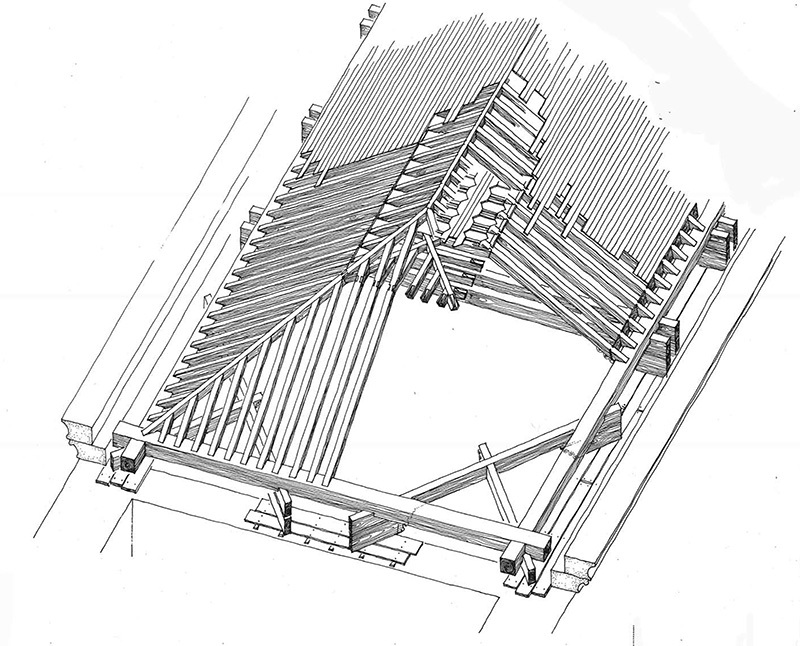 Lectura dibujada del primer manuscrito de López de Arenas (1985), La carpintería de armar española (1989, and a second revised and extended edition in 2000), La carpintería de lazo. 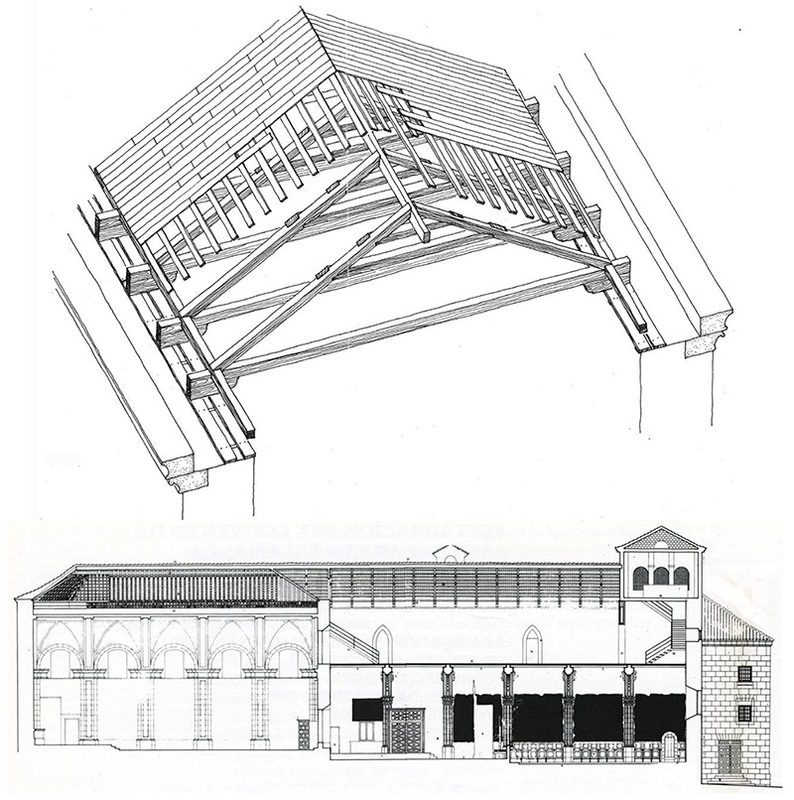 Lectura dibujada del manuscrito de Fray Andrés de San Miguel (1990) and Nuevo tratado de la carpintería de lo blanco, con la verdadera historia de Enrique Garavato, carpintero de lo blanco y maestro del oficio (2001). 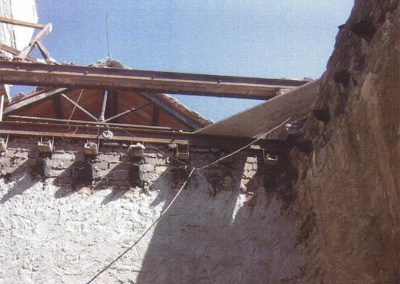 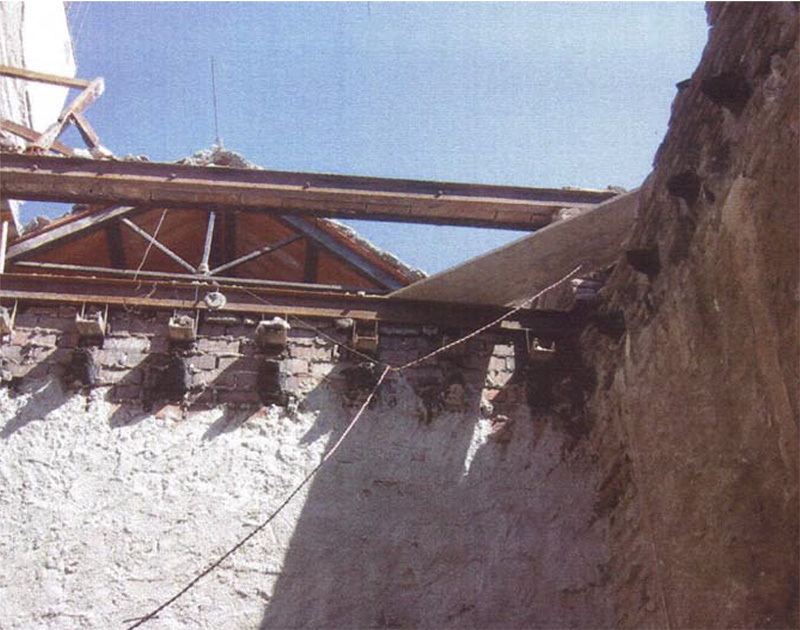 He has also developed important restoration works. 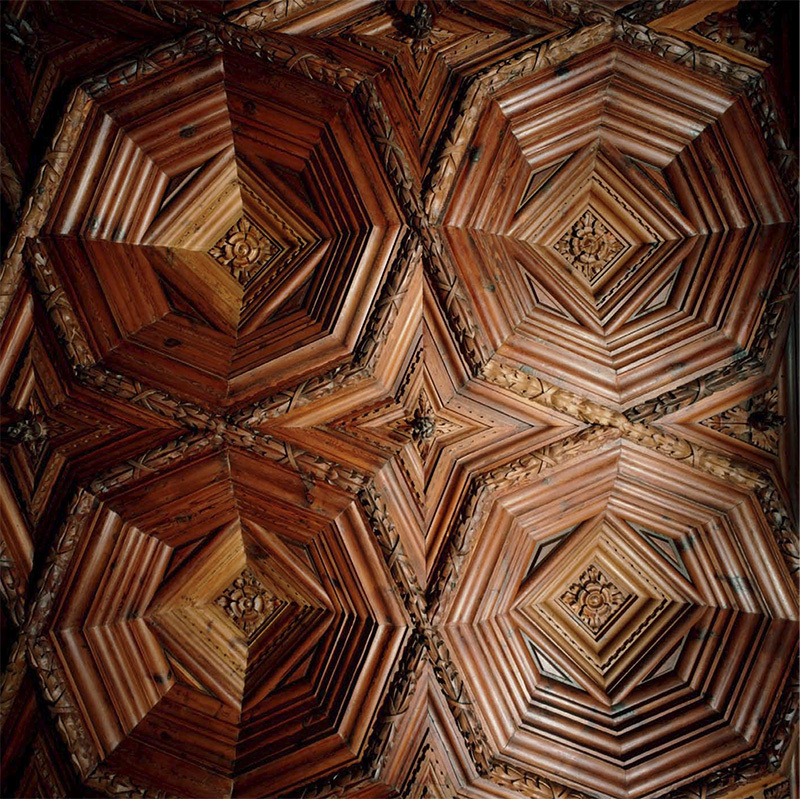 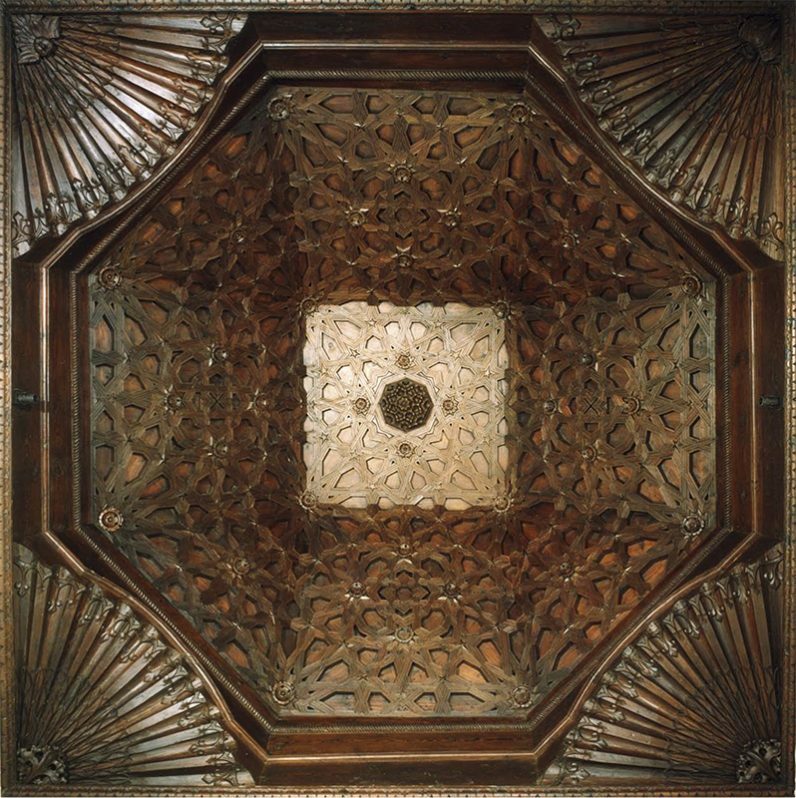 Apart from the numerous carpentry roofs and ceilings of churches and convents all over the country, his main works have been: seventeen carpentry ceilings restored for the National Museum of Muslim-Hispanic Art in the Alhambra, the one of the Paraninfo of the University of Alcala de Henares, six at the Palace of the Dukes of Pastrana, fourteen at the Miguel de Mañara Palace in Seville, thirty four at the Buenavista Palace in Malaga, now turned into the Picasso Museum, and six at the Villalon Palace, also in Malaga, now turned into the Thyssen Museum. 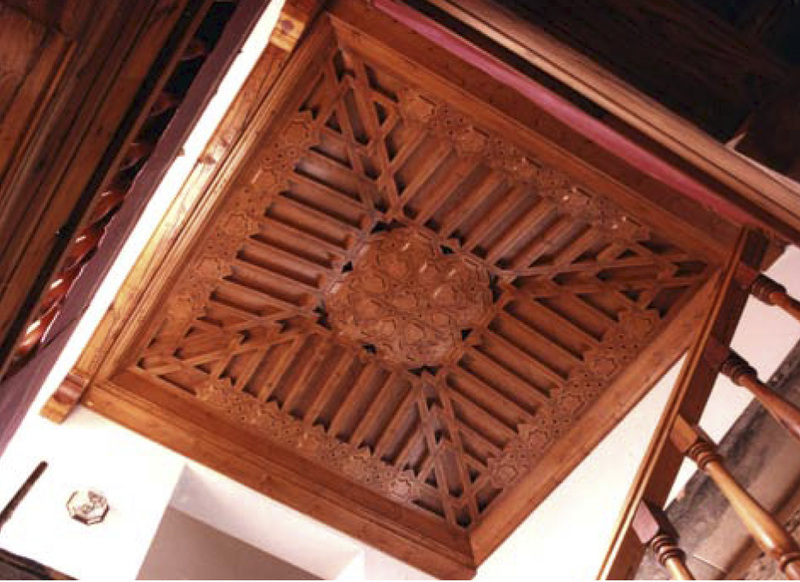 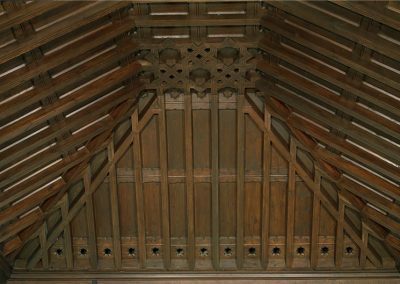 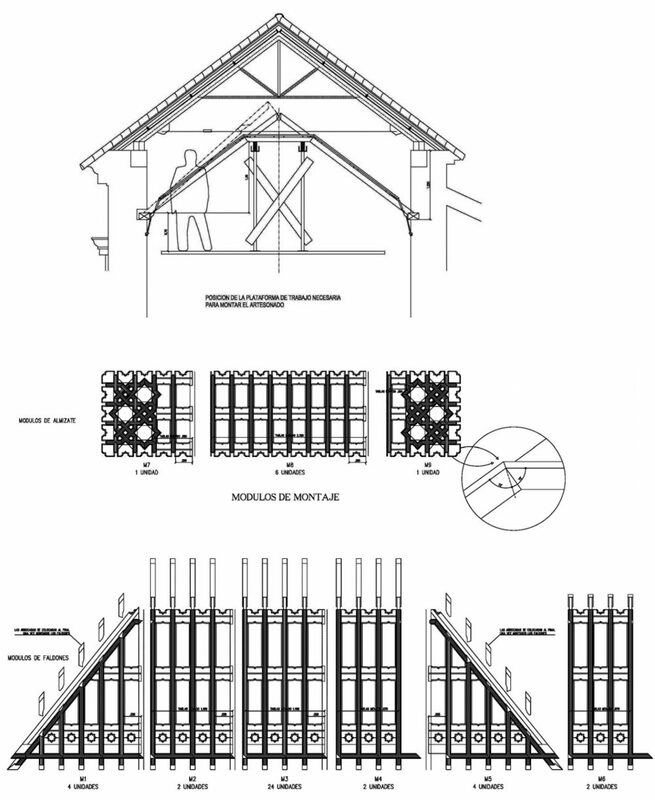 He has also extensively worked in new wooden structures both in new buildings and in historic buildings. 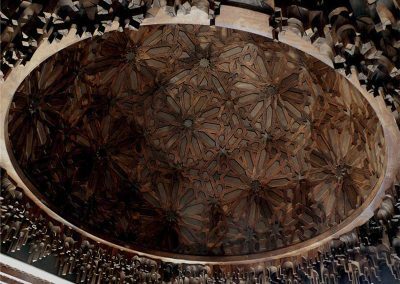 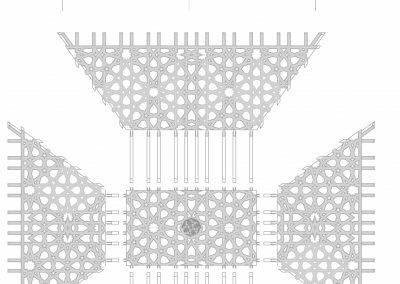 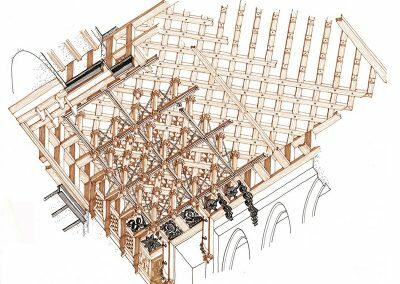 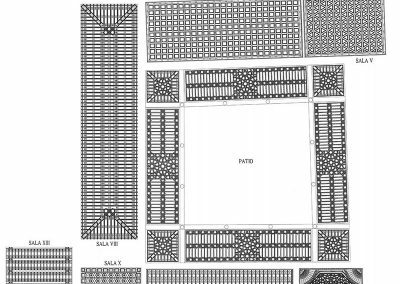 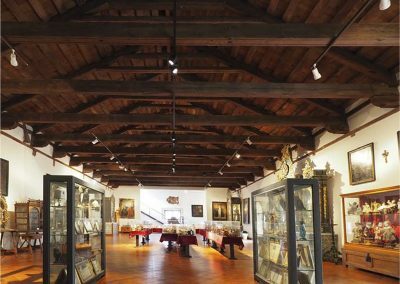 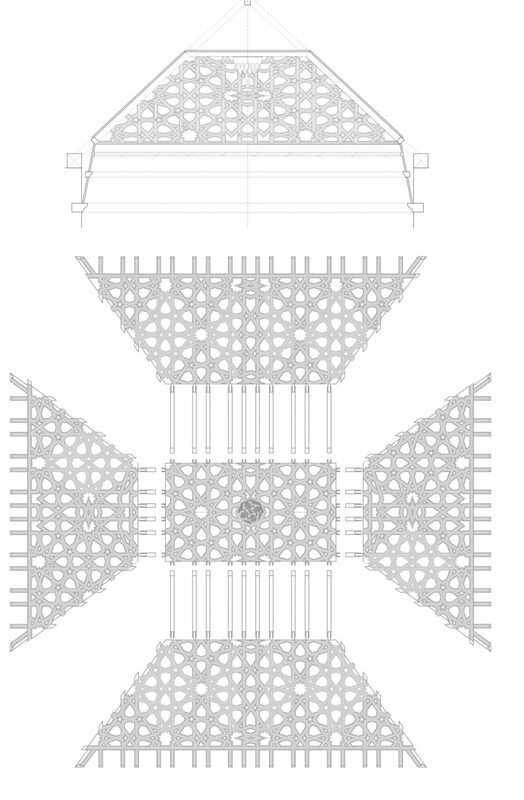 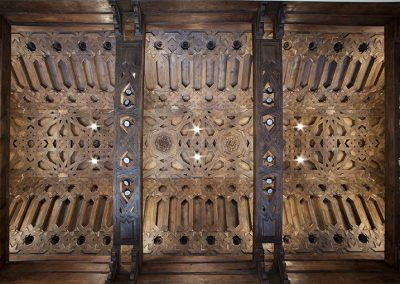 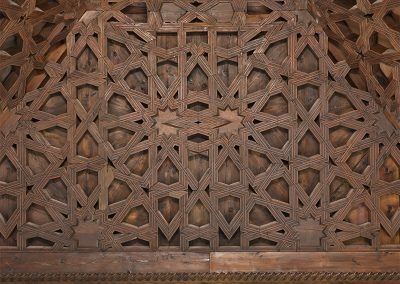 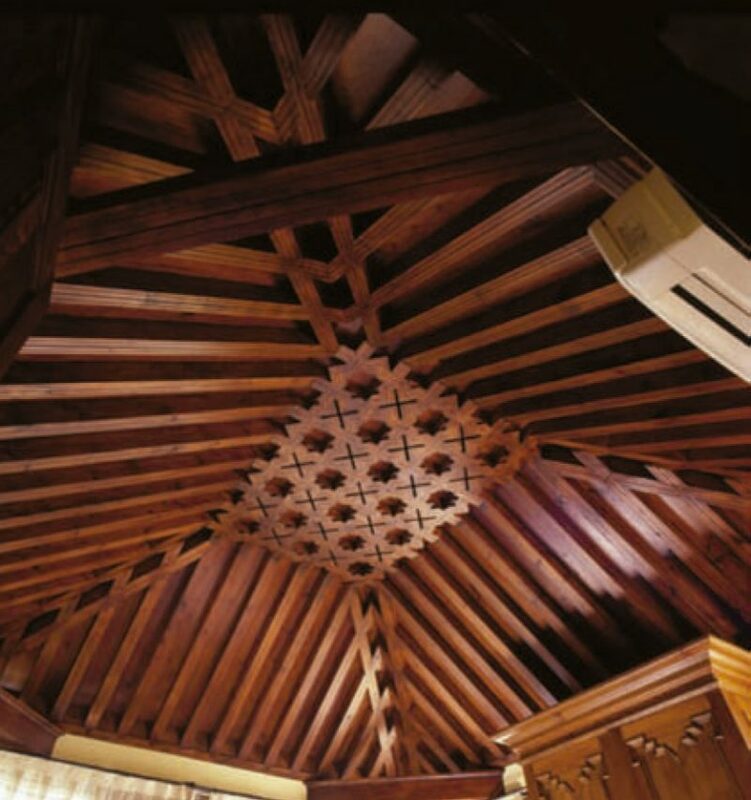 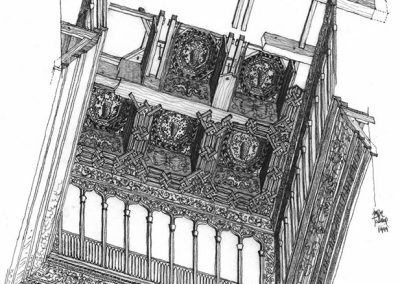 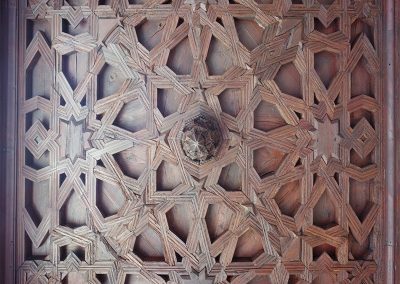 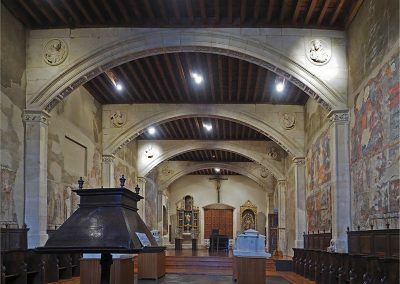 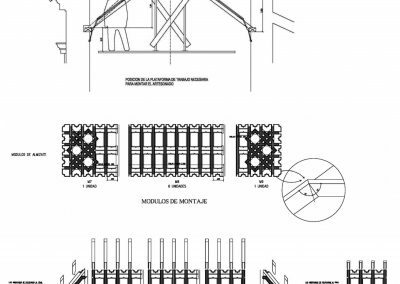 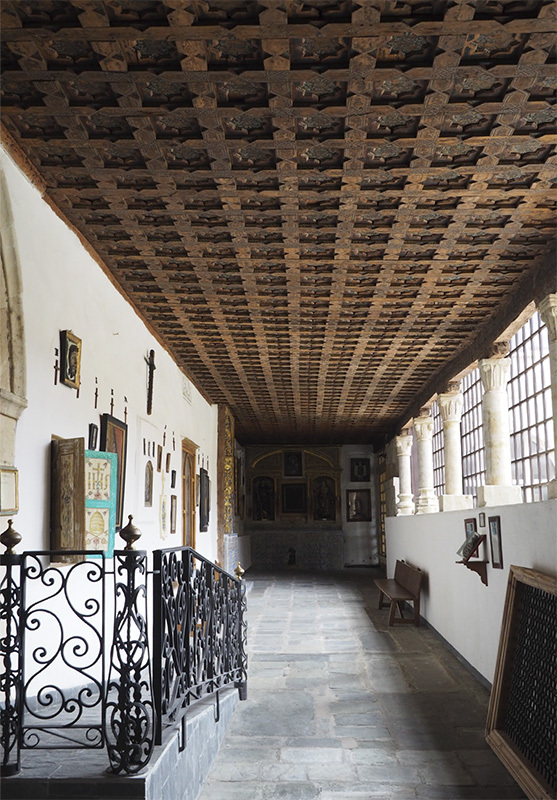 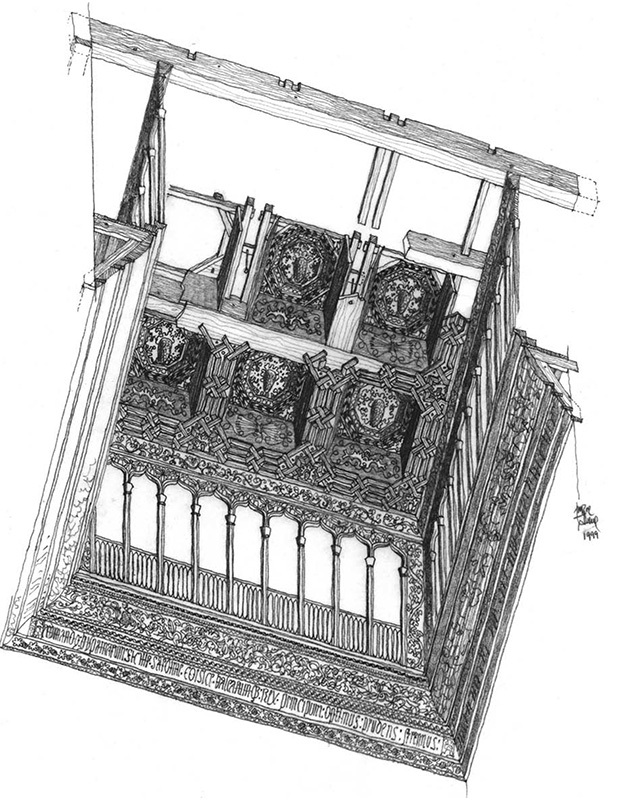 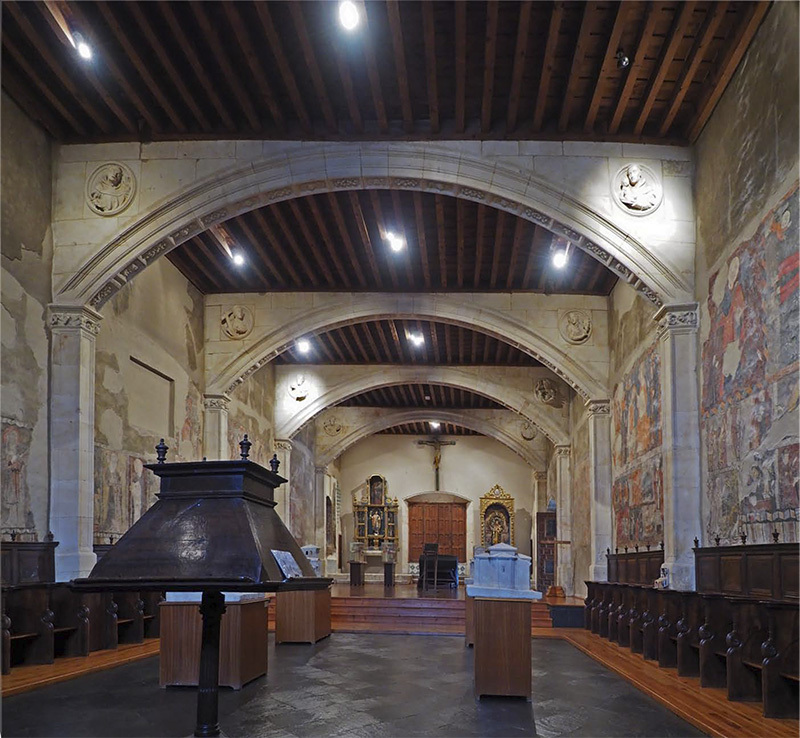 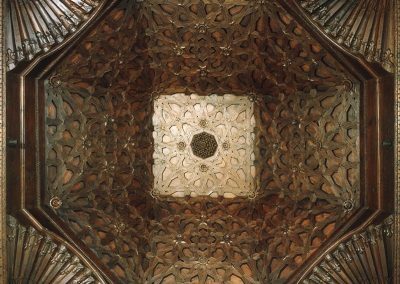 Good examples of them are the new wooden structures of the court galleries of the Alcazar of Toledo, the new “chapitel” structure for the church of La Solana, or the dismantling, removal and reconstruction of the carpentry work of the choir of the church of Valencia de Don Juan. 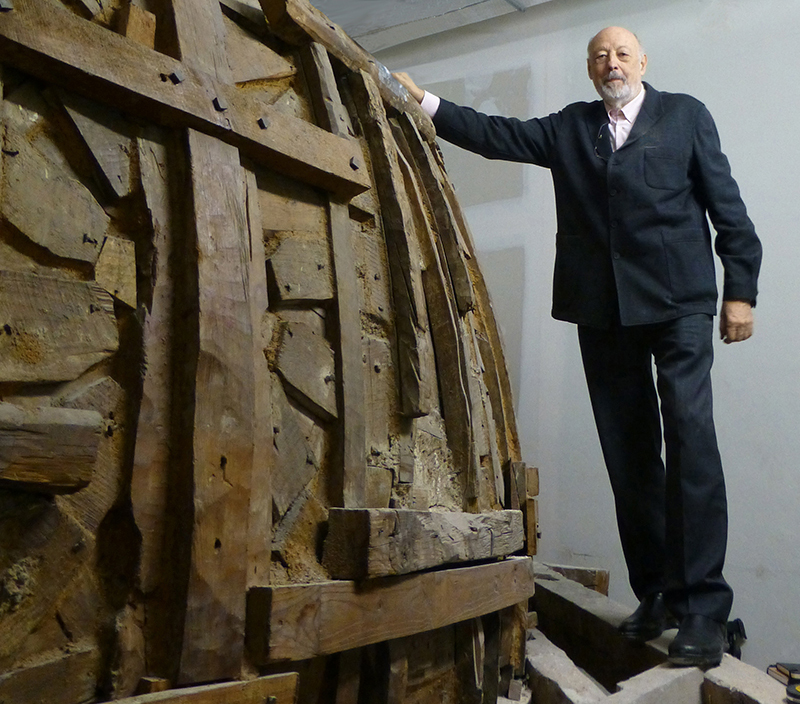 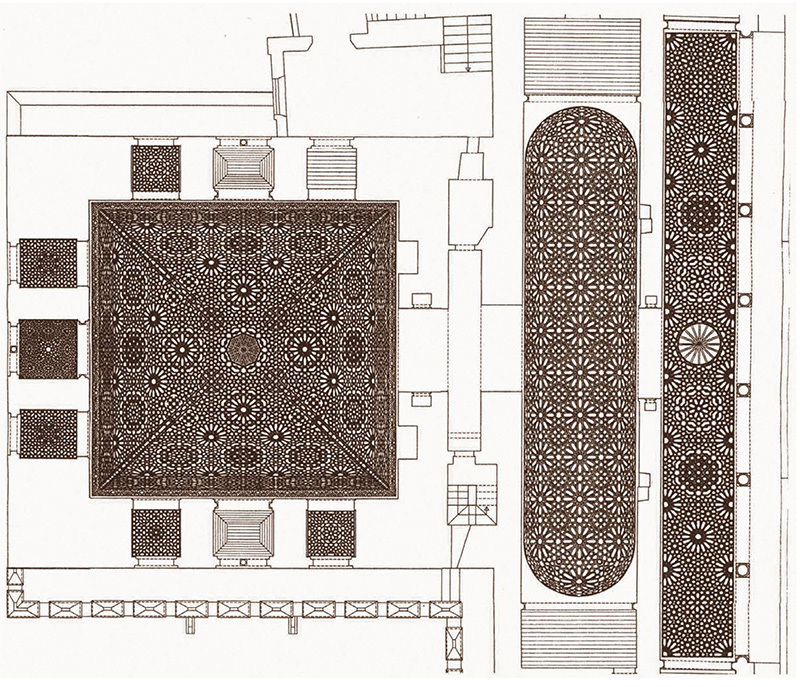 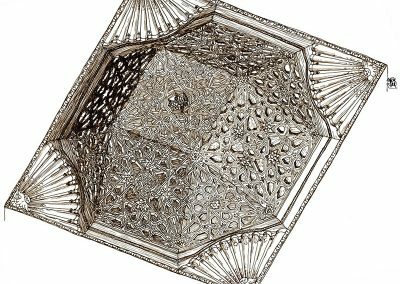 For all these works, apart from receiving the Rafael Manzano Martos Prize 2016, he has also been honored with other recognitions such us: the Research Award of the Madrid Institute of Architects (1980), the National Crafts Award and the Marqués de Lozoya Award (1981), the Europa Nostra Award for his works at the Santa Clara Convent in Salamanca (1988), the Research Award of the Madrid Institute of Architects (1990), the Europa Nostra Award for his participation in the restoration of the main hall of the Universidad de Alcalá (1995), the García Diego International Research Award (2001) the Fundación Juanelo Turriano Award (2006) and the CICOP Prize (Centro Internacional para la Conservación del Patrimonio) in the Architectural Heritage category (2006). 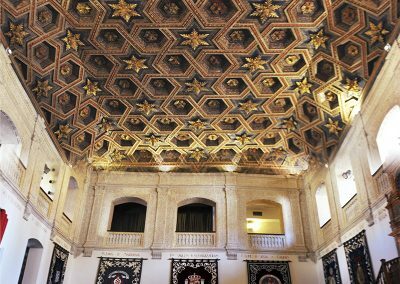 The award ceremony of the Rafael Manzano Prize 2016 took place at the Real Academia de Bellas Artes de San Fernando de Madrid in October 2016.